Are You Ready To Accept Cloud Based Accounting Software For Your Small Business? In this article I am gonna tell what are the benefits of using cloud based accounting software and how it helps small businesses?We all know that whatever documents and files we kept on mail or on online are more secure as compare to putting papers in a safe.Most of the businesses are storing their content and data or access the files through software by using network of computer servers known as “cloud”,but some are still using MS Excel for accounting and for other things. 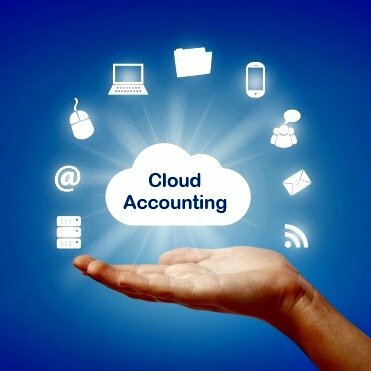 Here are some benefit of using cloud based accounting software for small businesses. 1. Cost factor:- Cloud based accounting software first of all save small businesses from incurring the high cost and also spread the cost by paying the instalments on monthly basis rather than paying huge amount.Software can be purchased on simple subscription.It also can be available on different cost like $5, $20, $50 and much more.There are so many software which are available on different cost like Quickbooks ,Freshbooks,Xero,Zoho invoice and merrchant and out of these some are easy accessible on mobile applications also. 2. Anytime access:-Cloud based accounting software can be easily accessible at anytime from anywhere through an internet connection with the help of smartphone mobiles and tablets.Businessman may find the clear picture of their financial data anytime. 3. Backup of data:-Cloud accounting software provides the facility of bakuping the data in case if the data lost.Cloud accounting software provides the automatic backup of data at regular intervals which helps to be regular in work.In case of theft the data is stored in cloud. 4. Quality control:-In cloud accounting software all the documents are stored in one place and organised in a specific formats which maintain the consistency and avoid the human error.It also have clear records for every transaction which clear out the confusions. 5. Financial monitoring:-In manual accounting mostly the work is done at the end of the accounting/financial year when proper records are made for tax assessment purposes and for knowing the financial position of the business,but in cloud accounting software one can create and maintain the financial records according to their wish. How cloud based accounting software helps the businesses? Cloud based accounting software helps to get accurate real time insight into the companies finance and also reduces the business expenses.The cloud technology backups the data so there is no need to worry about losing the important files and information.It makes dealings feasible and easy. Cloud based accounting software is safe or not? In cloud based accounting software there is no need to worry about losing the confidential documents and files because cloud software provide the place for storing the data with securing.The data is completely secured with the password so it can’t be accessible by one one without the permission of the real user. Merrchant online accounting software provides the best feature to maintain all your bookkeeping problem and help you to take best decision with all the features inside it.